When Memorial Day rolls around for us here in the United States, we’re already in party mode a few days prior. BBQ gatherings, parties and big feasts are only fun if we make it fun for ourselves. Years ago, cookouts in our garden were way too complicated and we spent so much time on complicated recipes, cooking techniques and fussy table settings. As years passed and the loads of dirty dishes began to take their toll on our enjoyment of the gatherings, we realized that feasts and parties didn’t have to complicated and that we can still enjoy ourselves at these cookouts. A huge part of making it easier on ourselves was to pre-prep a much as possible beforehand, plus taking the time to enjoy a beer or glass of wine in between. Planning the day before and prepping ingredients ahead of time, like all the condiments in this lamb burger dish, and even forming the patties themselves, can make life so much easier. Instead of stressing a few hours before guests arrive, a day or two before we’ll have all the tapenade quickly and easily made in the KitchenAid® 13-Cup Food Processor. We store it in the refrigerator in an airtight container until party day. The morning of, or the night before, the cucumbers, onions, feta-mint mixture and anything else that goes on top of the burger are ready to go and prepped too. And better yet, we’ll have them stored in their serving bowls and refrigerated (the cucumbers will benefit from having a barely damp paper towel placed on top before wrapping up the bowls). By the time guests arrive, we just pull everything out of the fridge, and voilà, life is great. We’ll also have the table set and ready to go the day before. It’s amazing to realize how much time it will take to set out all the dishes and glasses, so we’ve made planning easier by prioritizing this set up and we’re all ready to go for cookout day! Another tip we learned is to keep all the cooking to the same technique and tool. Rather than make dishes both on the stove top in the kitchen and outside on a grill, we have the KitchenAid® Grill to do all the work for us. 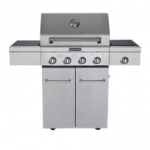 When it comes to grilling, our KitchenAid® Grill not only grills our lamb burgers to perfection, the grill also has a great side burner that we can use to heat or cook any other dishes. Instead of running in and out of the house to check on simple stove top dishes, we can double up on finishing dishes on the convenient side burner. We’re now outside on beautiful long weekends and summer afternoons, actually able to talk to guests around the grill instead of scrambling to try and make everything perfect. The joy is in sharing the time with the people we care about, and these cookouts are finally now fun and enjoyable. For the grilled lamb burger the fun is in the toppings. We have our favorites, but you can certainly add what ever you like. That’s the fun of cooking outside with friends in a relaxed atmosphere. Have a bunch of toppings and small dishes on a table and see how everyone builds their own special lamb burger. Make the tapenade: Combine the olives, garlic, capers, thyme, rosemary, lemon juice, mustard, and olive oil in a KitchenAid® 13-Cup Food Processor and pulse until the texture is a rough paste, scraping down the sides occasionally in between pulsing. Taste and season with salt and pepper if desired. Set aside in a bowl to serve on the lamb burgers. Make the burgers: In a bowl combine the lamb, rosemary, and 1/2 teaspoon salt and mix until evenly combined. Form the lamb into 4-6 burger patties. Generously season the outsides of the patties with salt and pepper, to taste. Heat the KitchenAid® Grill over medium-high heat. Brush the grates with oil. Grill the lamb patties for about 4 minutes on each side or to your desired doneness. Remove the patties from the grill, cover with aluminum foil and allow to rest for 5-10 minutes. While the patties are resting, brush the cut sides of the hamburger buns with olive oil and grill the buns until golden brown, about 1 minute. 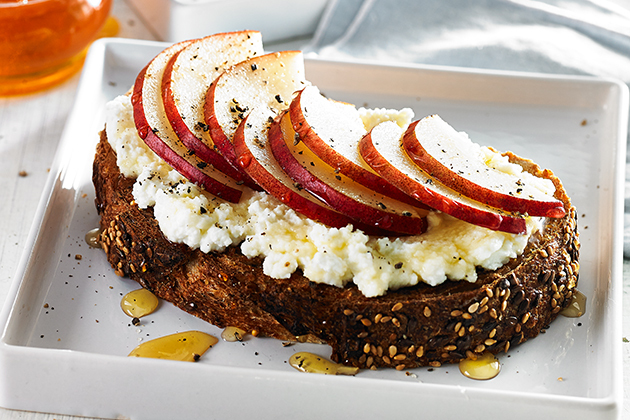 Combine the feta cheese and chopped mint. Set aside to serve on the lamb burgers. 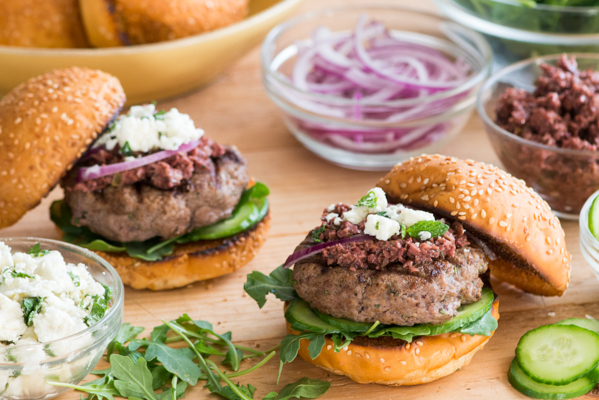 Serve the lamb burgers garnished with the tapenade, feta/mint mixture, red onion, arugula, and cucumbers. 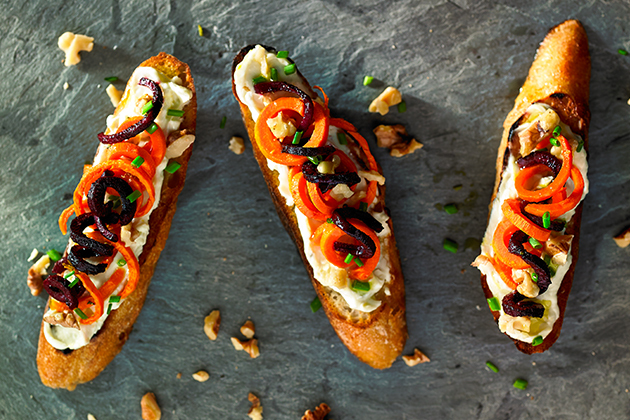 that tapenade looks fabulous! 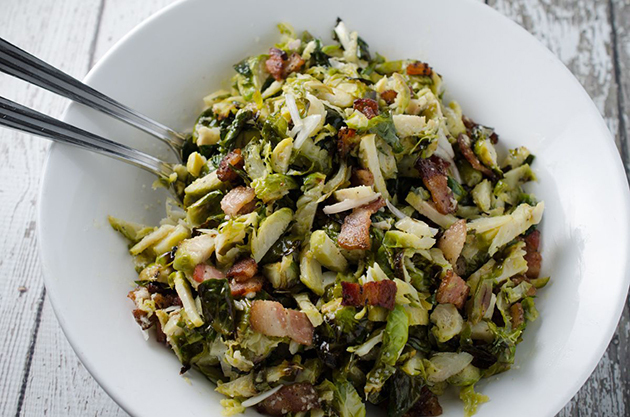 love this and can’t wait to try the recipe!!! Your print feature should print the recipe, not the entire article. What a waste of paper.